1% Mug Shots are supposed to be syn free. Supposed to be. 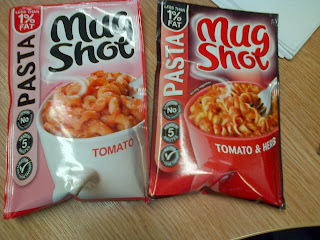 The left sachet actually has 1 syn, the right sachet is free. Two different style Mug Shot's. Both 1% fat. Both tomato flavour.